For decades, Tepoztlán has been a magnetic pole for awareness and spiritual growth. Many consider that the mystical energy that is felt in this magical town of Morelos, is due to its subsoil’s mienrals, as well as to the imposing mountains of El Tepozteco range, that invite introspection and discovery. The land where this hotel and spa in Tepoztlan was built has amazing vitality, which contributes to the regeneration of our guest’s energy. Our therapies, ceremonies, wraps, energetic cleanses, temazcal baths, yoga and energetic arts classes will lead you to feel all the energetic benefits of this mystical place. What does your soul need today? 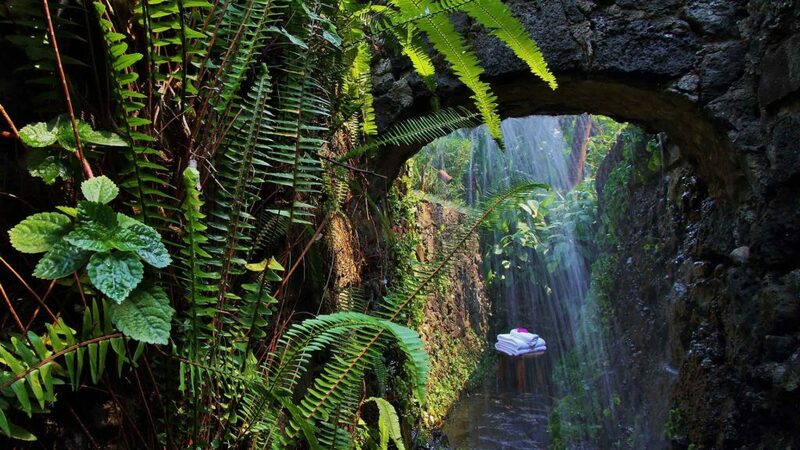 Let your spirit guide your body when choosing a treatment in our spa in Tepoztlan. The ritual begins in a beautiful cobbled road, hidden between the lush vegetation, then at our cabins, which are integrated with nature and next to a stream. 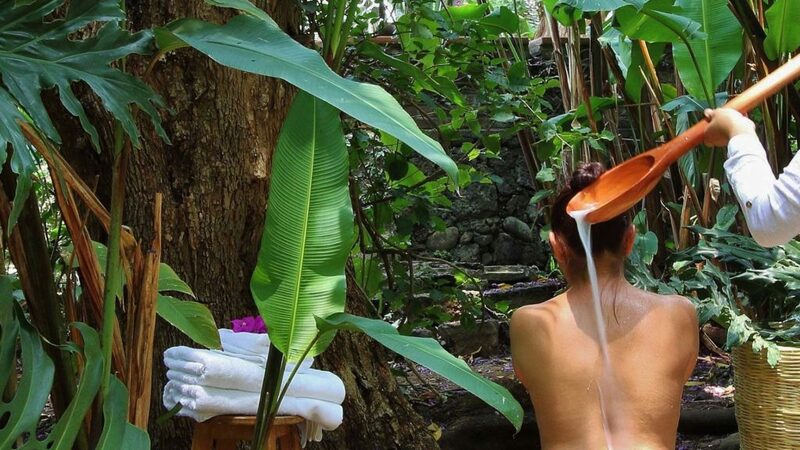 The sound of water is the first step of harmonization, followed by the expert hands of our therapists, who have learned techniques from local grandparents, the use of natural ingredients, where unique herbs from the region are handcrafted to have immediate healing effects on mind, body and spirit. A unique experience as a Spa in Cuernavaca, Tepoztlan and the surroundings. Enter the warm shelter of Mother Earth to receive purification and healing from her. The Temazcal bath is a process with medicinal and spiritual qualities that invites a rebirth through steam, darkness and herbs. 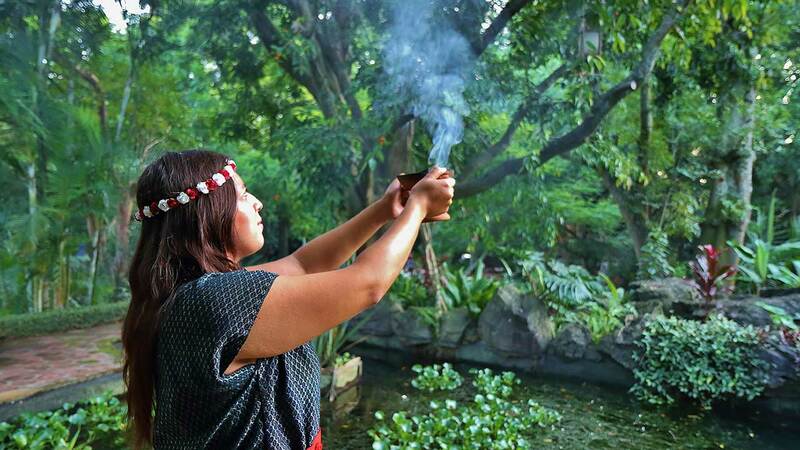 This Temazcal in Tepoztlan is guided by a Ceremonial Guide, expert in this ancestral Mexican therapy. This cleanse removes what no longer serves, and allows for vitality to flow. The healer performs different rituals that discard fears, insecurities and sadness creating an energetic space that attracts the good and necessary to our path. 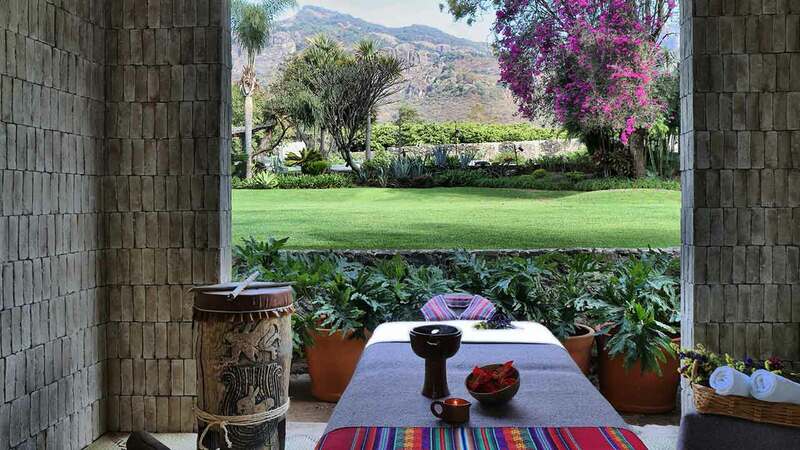 The Spa at Amomoxtli absobs the beauty of our gardens, the Earth’s and the Tepozteco’s energy and the flowing of the rivers to take our guests on a journey of therapies ranging from Tepoztecan hedonism, the search for balance, the rediscovery of our origins and all the benefits of wellbeing. Individual cabins for physical and cosmiatric therapies and Tepoztecan rituals. Cabin for exfoliation and wrapping treatments.